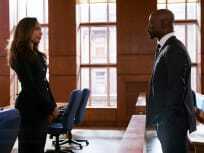 On Suits Season 6 Episode 16, Mike faces off with Anita Gibbs who is determined he never becomes a lawyer, while Louis fights for his relationsip with Tara. On Suits Season 6 Episode 15, Harvey and Mike have a tense meeting in which they try to figure out the best course of action. 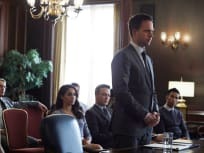 On Suits Season 6 Episode 14, there will be a an argument as Mike gets set to take the bar, but will everypne support his decision? On Suits Season 6 Episode 13, Harvey will try his best to get Mike back to the firm, but does that mean ruining Rachel's career in the process? 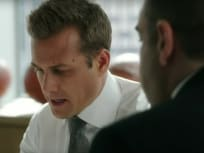 On Suits Season 6 Episode 11, Harvey and Louis fought for control of what was left of the company, but Mike had some decisions of his own to make. 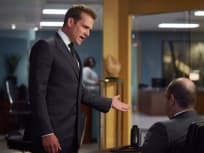 "The Hand That Feeds You"
On Suits Season 6 Episode 9, Harvey considers setting Gallo free in order to protect Mike while Louis must face his anxieties concerning Tara head on. 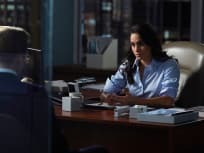 On Suits Season 6 Episode 8, Mike tries to help while Harvey rebuts Cahill's star witness, and Jessica and Rachel scramble to delay Leonard's execution. 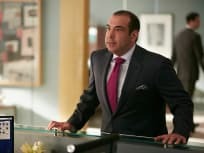 On Suits Season 6 Episode 7, Harvey, Louis and Donna search to find a missing link between Sutter's insider trading, while Mike tries to get Kevin back on his side. 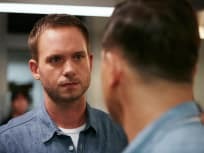 On Suits Season 6 Episode 6, Mike realized that his past may throw a spanner in the works for his plan to get out of prison, but did someone manage to help him? On Suits Season 6 Episode 5, Mike attempts to gain Kevin's trust while Harvey enacts a risky plan and, Louis asks for Donna's help in a matter of the heart. 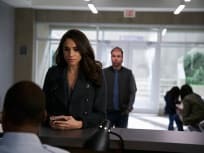 On Suits Season 6 Episode 4, Rachel represents a death-row inmate while Mike considers taking a deal to get out early by turning on an inmate. 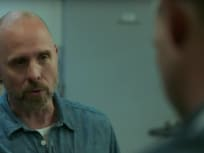 On Suits Season 6 Episode 3, Mike is forced to face up to Frank to get information for Harvey, but does Frank catch him in the act? 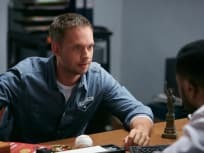 On Suits Season 6 Episode 2, Mike will have to go out of his way to try and make things up to Frank, who is dead set on revenge against Harvey. 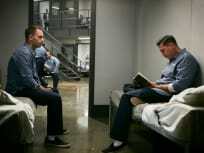 On Suits Season 6 Episode 1, Mike enters the prison system while Jessica, Harvey, Louis, Donna and Rachel attempt to figure out how to save the firm. Oh, and I'm black in here. Permalink: Oh, and I'm black in here. Louis: Where the hell are you going? Donna: Where do you think I'm going? I'm going home, Louis. Louis: Don't you get it? They're all gone. Every single one of them. Donna: Yeah, we knew that already. Permalink: Yeah, we knew that already. Suits Promo: Will Harvey Be Sent To Jail?!? Suits Promo: Will Mike Take the Bar? Suits Promo: Is Rachel's Career Ruined?